It’s nearly summer, which means the shores will soon be filled with SUP boards, drones, and self-professed whale whisperers. This authentic lifestyle is an obnoxious time for marine mammals, and soon your online feeds will be flooded with aerial footage of people “sharing the water” with marine megafauna. Some of these shots are innocent but an increasing amount are harassment. Below is a helpful GIF guide to tell the difference. These scenarios happen. They are rarely documented and totally amazing. It’s truly that simple. The next time an amazing 4K aerial shot shows people interacting with whales, ask yourself two things: 1) Is the whale’s head or the tail facing the people? 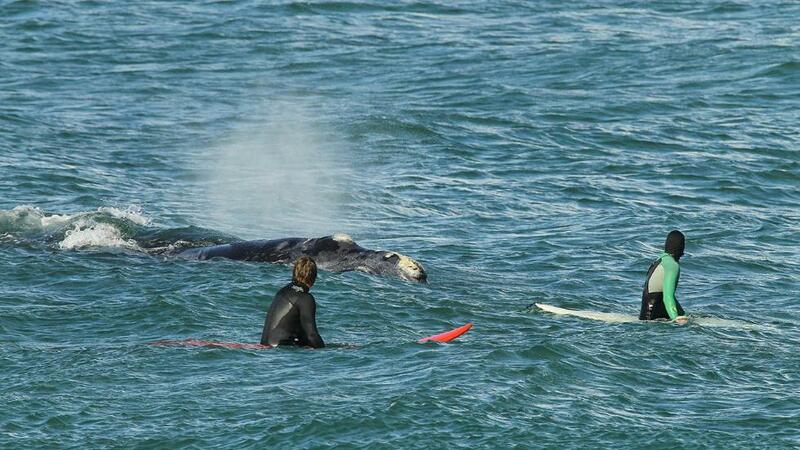 2) Are the people actively approaching the whale? If the answers are 1) Tail and 2) Yes, that is harassment. Remember: Whales, dolphins, sharks, or anything else in the ocean does not have to interact with you, even if you brought your drone and your Instagram feed is a bit lacking. It is illegal to harass marine mammals because it is potentially life threatening for both you and them.